It was surprising, shocking, that in the depths of the recession I got a chance to travel to Paris and work in a boulangerie making baguettes. This was a long-held dream of mine, since I've been baking bread at home for a decade. It came thanks to Afar magazine, which launched last month and highlights "experiential travel." Aside from my article, there's terrific reads on bog swimming in Wales, a piece about Berbers in Morocco, and oh yes, South African bunny chow -- a national dish. All in all, Afar is a kind of a hipster's National Geographic. 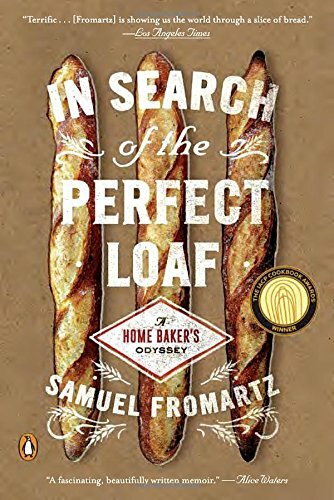 When I returned from Paris, I came up with a home-baked baguette that topped bakeries in DC in a blind tasting competition and caused a bit of a stir on the Net (see Bittman and Wild Yeast blog). The winning baguette recipe is here for those who want to try it, but it calls for a bit of sourdough starter. Happy baking.